Recipe from Florence Henderson, National Honorary Chair, Speaking of Women's Health. 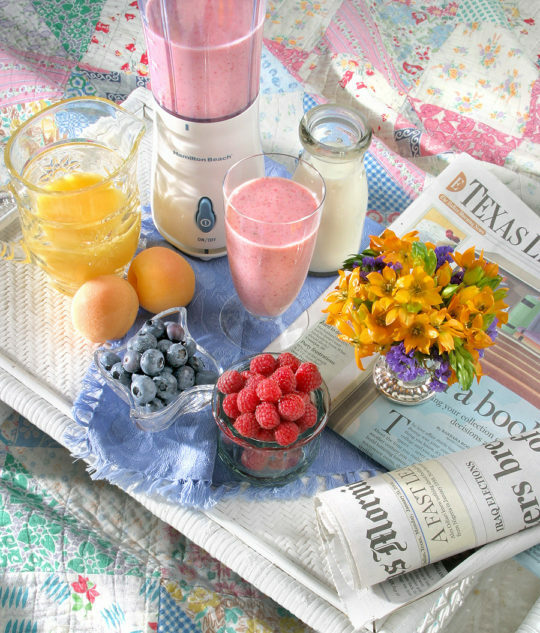 A smoothie is a nutritious treat for breakfast, or anytime you want a pick-me-up! Have fun experimenting with different flavors by including your favorite berries and seasonal fruits. A smoothie is a great way to add additional vitamins and nutrients into your diet. Consider adding a protein powder, fiber supplement, wheat germ or other herbal supplements in powder form, just as this recipe suggests ground flaxseed. Remember what Mary Poppins said, “Just a spoonful of sugar ...?” Well, in this case, it’s a spoonful of smoothie! Enjoy! Place all ingredients in blender and process until desired texture.